Bed Bug Bites - Symptoms & Treatment : You may have heard the term “don't let the bed bugs bite”, but you're probably not aware of how common the problem is in the country. On average, 96%+ professional extermination companies have encountered a bed bug problem within the past year. That's a serious issue and concerning for anyone who may think they're prone to bed bugs or at risk. 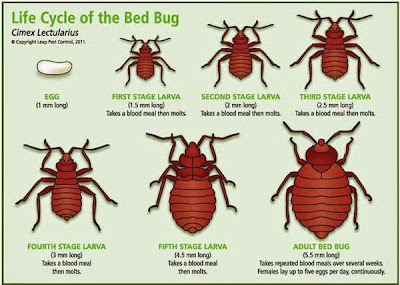 There are easy ways to check for them, their bites and methods to prevent/treat bed bug infestations. We'll go over those below in this article after explaining what the bed bug is and how to identify it and get rid of bed bugs easily and quickly. So what exactly is a bed bug? They're a parasite that feeds on mammal blood as well as birds. Think of them as similar to a louse, but not the exact same species. They typically feed when carbon dioxide levels are elevated and temperature is warm – hence why they're like to consume blood while you're sleeping. It's also when you're the most dormant and vulnerable, meaning less chance of being killed while trying to feed. An adult beg bug is brown, about four to five millimeters long and oval shaped. After they feed, they swell, making them a bit bigger. This is due to the blood collecting in their stomachs. A lot of times, when they squeeze back into the area they're hiding inside of, a small amount of blood will leak out from the filled contents of the stomach. You can catch these little blood splotches underneath tights areas such as doors. Bed bugs leave a few common indicators of their presence. Typically, you find small blood splotches along the bed after feeding time, which you'll notice when you wake up. There may be bites, which sometimes get inflamed and are uncomfortable, not to mention itchy. The bed bugs generally like to hide along the rims and seams of the mattress. You can find their droppings and husks as well as living ones in these areas. Sometimes they dwell just inside the mattress, making it even more difficult to detect. If you uncover most of these signs, you should probably seek an exterminator. Can You Get Rid Of Bed Bugs? Usually, once something has been infested by bed bugs, it's best to discard it. You'll also need to make sure that there aren't any left behind, which is why it's wise to call a professional to tie up any loose ends you may have missed. There are consumer products to eliminate bed bugs, though it's much safer and cleaner to completely replace the infested material. It is possible for the average person to treat the infestation themselves, but it's much more efficient and effective to either completely replace the bedding or call an exterminator. Bed bugs have a specific bite that occurs from the antigens in their saliva and the agent that comes with it to numb the site of injection. This agent is usually what causes the bite mark. Most bites are painless but later as time passes, they can become itchy and swollen. Their bite resembles what you'd expect from a flea and the two look very similar. 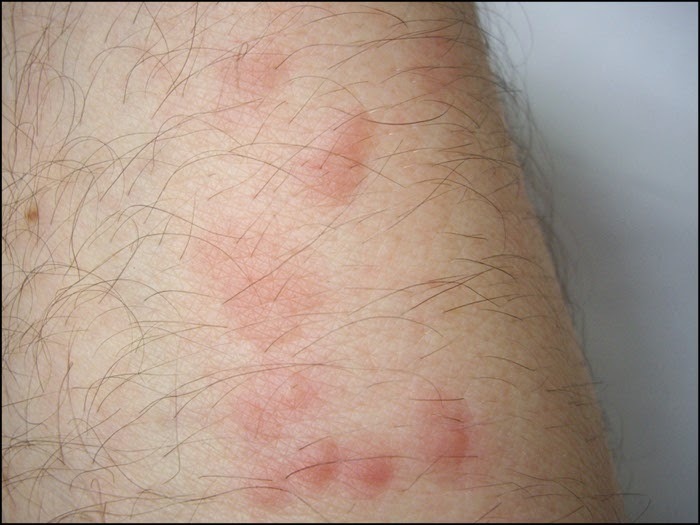 What's unique about bed bugs' bite is the pattern it leaves; typically a line of bites, where they crawl a little bit further from the initial site, feed, and move forward. If you notice this pattern, consider treating the issue. You can handle bed bug bites like flea bites; keep them clean and use anti-itch creams to help the irritation subside. Bed bugs also secrete a stench from their glands, which causes a musty scent. It can be particularly offensive, especially in heavier infestations. The first thing you need to do for treatment of a bed bug infestation is cleaning the places where they thrive and live. You'll find some places that obvious, but there are others that often get overlooked. Make sure to clean any bedding or sheets with hot water and good detergent; you'll also want to put the fabrics in the dryer on high for at least 30 minutes. This will kill the bed bugs and their offspring. Take note to also seal up any cracks and crevices they could be hiding in, especially holes in the wall and flooring. Vacuuming is also a great way to keep dirt and debris down, ensuring they don't have any more places to hide and reproduce. Bed bugs can live without food for up to a year. Keeping that in mind, you should be vigilante, especially if you've had any previous infestations. 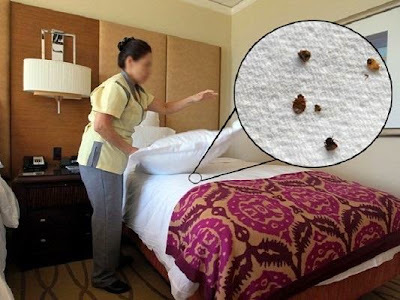 Cleaning up can help control the amount of bed bugs and reduce their pestilence, but to completely get rid of them, you'll need a full-on extermination. Generally, this requires chemicals and compounds that either poison or prevent them from breeding. You can buy these treatments yourself or you can have an exterminator professionally handle the situation. The home treatment is typically cheaper, but it does require taking caution with your fabrics. Chemicals can be dangerous to you and the mattress itself, so you'll need to check the tag to see if it's chemical and insecticide safe. If the label does not mention any chemical treatment, then do not do it; mattress, sofas, cushions and pillows designed for the insecticide will say so on the warning label. Bites typically last the length of a flea bite. There are exceptions, however. Everybody's immune system is different; some people have allergies to the bed bug's saliva. Think of a flea bite that gets infected. If you do have an adverse reaction to the bed bug's bite, see a doctor to make sure it's not getting severely infected. You can also use topical ointments to relieve itching and redness. Bites won't last very long for the most part, but it depends on the person's body more than anything else. There are a few ways to prevent bed bugs. Obviously, you'll want to make sure when you purchase a mattress, sofa or anything similar that it's coming from a reliable place. A good retailer of said bedding will have to pass quality checks. 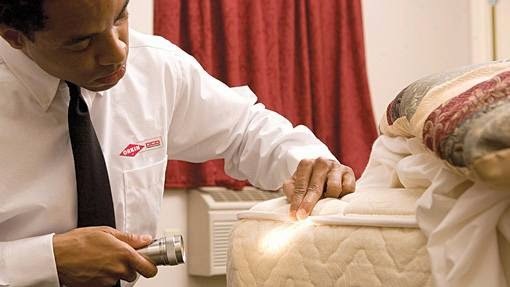 Used mattresses have a higher risk of being exposed to bed bugs versus something new that hasn't been used at all. Make sure to keep things clean and dry your bedding at high temperatures. If you know someone has bed bugs, take extra precautions to keep your bedding free of the pests; sometimes they can hitch a ride on socks, purses or in folds of clothes and backpacks. Bed bugs bites are a common problem, but it doesn't mean that you're dirty or of bad hygiene. If anything, they only favor one particular quality : blood. They can be treated and removed and it doesn't mean you'll always have bed bugs either. Most exterminators have specialty equipment for handling the bed bug problem and they do a great job of completely ridding them. If you're concerned, check the areas of the bed mentioned above and look for any bites or trails of blood. With the knowledge of how bed bugs work and what to look for, even if you do have them, you can rest assured that the problem is solvable. How To Remove Bed Bugs From Home : If you're waking up with the famous bed bug bites, it may be time to do something about it. If you find the little things roaming around on your bed, especially by the seams, don't freak – you can usually treat them yourself if the infestation isn't that bad. Success will rely on a few factors including stuff related to the environment like debris, clutter, any neighboring infestations and having everyone equally participate. 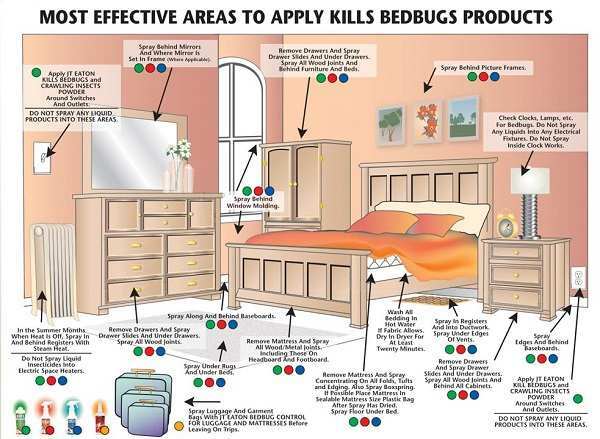 Read on below for tips and tricks on getting rid of bed bugs in your place and furniture. It may surprise you. You're going to want to inspect all areas that these little pests could be hiding. Make sure to check surrounding spaces as well. If you're planning on vanquishing the problem, you need to determine how bad the infestation is. 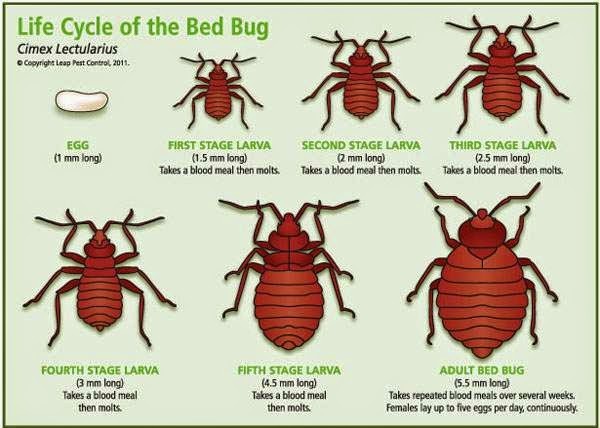 Also make sure to identify the insect correctly – you don't want to treat for fleas when it could simply be bed bugs causing the problem. If you live in a shared complex or apartment, get in touch with whoever you're renting from and notify them of the problem. This is going to require effort on all ends for it to be successful. Grab your pen, paper and calendar. Pick time and plans each stage of the treatment plan accordingly. If you don't follow some sort of agenda, the plan probably won't work. You'll need to keep records of the process, too. Make sure to note dates and locations where you find bed bugs. If not, you're giving them a home-field advantage. This is a really important step. If you don't stop the infestation from spreading, whatever you clean will just grow host to more bed bugs, nullifying everything you did. Empty stuff like vacuums and anything used to collect dust. Items from the general area of the infestation should be sealed in airtight plastic bags to prevent them from hosting anymore of the creatures. If something is beyond hope, trash it – it's not worth the hassle of trying to remove a serious problem by pouring more money than the furniture is actually worth into it. That doesn't mean go crazy throwing away things; only do this if you're sure that you can't treat it. Once you're done sealing everything up, it's time to prepare for the treatment. There are great resources on top of what we'll go over on the web as well, so take time to check those out as well. Make sure to prepare otherwise it won't work. Heat treating infested clothes is a first; place effected clothes, sheets and other washables into a heavy was cycle and dry on high heat for at least 30 minutes. Cold treatment works too – if you have a cold enough deep freezer (0 degrees F), leaving effected items in that temperature for four days will work as well. Next, use pesticides. Follow EPA-registered pesticides and their labels for the most effective treatment. Foggers are great, but handle them with as much care as possible and schedule a time for the act. Your pesticide must mention bed bugs for it to be effective. After a few days of following these treatments and precautions, you should see a drop in the Bed Bug Bites. Keep doing this until there are no signs of infestation and if need be , call a professional. Why Do People Think Bed Bug Sprays are a Good Idea ? People Think Bed Bug Sprays are a Good Idea : In the last several years, bed bugs have become almost like a plague, so many houses are infected by these blood-sucking parasitic insects causing various health problems from skin rashes to allergic symptoms, there are even some psychological effects in some cases. Many people think that the increase of bed bugs infestations are due to the increase of international travel. Tourists sometimes brought these bed bugs after they traveled to a tropical country. Another cause is the restriction in the use of powerful pesticides such as DDT that could control such pest successfully. But even though it was very powerful to control insects like bed bugs, DDT also proven to be dangerous for human health and the environment, that's why it's now restricted. But whatever the cause is, one thing for sure, these insects are total pain! When dealing with bed bugs, there are several different solutions available, and one of the most practical as well as cheap solutions is to use bed bug sprays. These bed bug sprays can be easily purchased at the grocery stores and supermarkets. When you visit a supermarket or a grocery store, you will see various bed bug sprays with different brands being sold, so finding them is not a problem at all. The problem is to choose one among the many bed bug sprays in the market. Each one of these products claim to be the best product in eliminating bed bugs for good. So how do you know which one to choose? 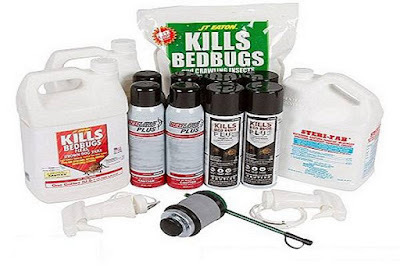 The first thing you need to understand before you start your quest on finding the best bed bug spray is that there are no sprays or pesticides that are made for the sole purpose of killing bed bugs. Also you need to understand that bug sprays are not containing magic potion that can eliminate bugs in all bug infestation cases. Every case is unique, though usually bug sprays are needed in most bug infestation cases, sometimes other solutions are needed in order to eliminate these bugs completely. It should be registered with the government agency authorized in determining whether a product is safe. In the United States, a bug spray product should be registered with the US Environmental Protection Agency. Other countries also have such agency only of course with different names, but the objectives are the same; to make sure all the quality standards are met and to make sure that the products are not containing dangerous chemicals. Bed bugs have five immature life stages with one sexually mature adult stage. A good bed bug spray should be able to eliminate bed bugs at all life stages, including their eggs. Even though it may sound most vulnerable, but eggs could be the hardest part to eliminate during the process of pest control. These eggs sometimes are attaching strongly to the surface and located in hidden locations. Some sprays are also not strong enough to penetrate the eggs, so the bed bugs are still alive inside the shell. If the eggs survive you will have to deal with bed bugs problem again in a matter of weeks, because these bugs can multiply very rapidly. The product should be easy to use. Sometimes the most effective product we can find is the one that's the hardest to use. A lot of great bed bug sprays will require you to do a proper mixing before you can use the product. This is not really a good idea because there will be a chance for an error, besides, it already cost you money, why would you have to do an extra work? It should be reasonably priced. It is true that cheap products usually don't have good quality, but it doesn't mean that you have to pay 10 or 20 times the price of those cheap products just to get a good one. Just keep it reasonable. It should be non-toxic and environmentally friendly. This is a very important thing, even though it's already registered. Make sure bed bug sprays doesn't use potentially harmful/flammable chemical, especially if you have kids or pets. The bug spray should be water based so it will not leave any stain when used on sofas, furniture or carpet. The watermark will just stay for a while then it will disappear when dry. Bed Bug Sprays would be a Good Idea if all the above things would be kept in mind choosing or selecting the better and effective Bed bug Sprays for our households. How Getting Rid of Bed Bugs isn't as bad as You Think : Remember when you were kids your parents used to say "don't let the bed bugs bite" every night before you go to bed? Well, they were not kidding. Bed bug Bites are so irritating, they can give you skin rashes, allergic symptoms, and they will kick you out of your own bed just like an angry wife. The worst thing is they can multiply very quickly, even you already knew how to get rid of bed bugs but you left out one single fertilized female bed bug, in a matter of weeks you will be facing the same problem all over again. This is because one fertilized female bed bug will continuously lay 3-4 eggs everyday until the end of its life span. During its entire lifespan, a female bed bug can generate as many as 500 eggs. The easiest method in getting rid of bed bugs is obviously to spend money on a pest control service. Just sit back, relax (after you make sure there are no bed bugs on the seat, of course) and when they're done your problem will be gone. But it could be expensive, besides, if you don't choose the service carefully, your house might end up like a toxic wasteland after they sprayed everything with dangerous pesticides. 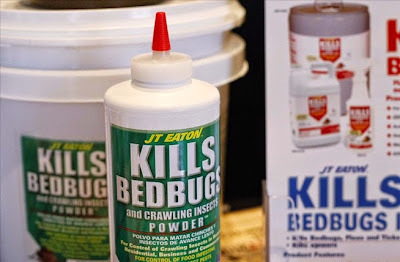 So unless you have a really serious bed bugs infestation, it would be safer and much cheaper to do the eradication yourself, which is actually not that hard. 1. Remove as much clutter as you can, bed bugs are tiny and their color also makes them quite difficult to see, so the clutter will just make it more difficult for you to find them. When you have found them - usually on stuff that are covered in fabrics, like blankets, garments, jackets, cloth items, stuffed items, seat cover, sofa, etc. - clean them using a vacuum cleaner and wash them in 160º F hot water. The hot water will kill any remaining bed bugs and also destroy their eggs. 3. From your dismantled bed, now focus on the box spring and mattress to see if there's any opening that can be used by the bed bugs as their entry point to nest. If you find one and you see that there's an infestation of bed bugs inside the mattress, you can either use the non-toxic bug spray or you can use a mattress cover to seal the mattress completely, or you can do both instead. 4. When you're done with the bed, now it's time to work on your furnishings. When cleaning a desk for example, take out the drawers and inspect the furniture thoroughly. Clean the areas where the bed bugs are likely to be hiding in using the eco-friendly bug spray, you can also vacuum the area before you spray. 5. Cracks and crevices are usually the bed bugs' playground, so inspect your house and if you find any cracks on your wall you should seal them immediately, you can use caulk as the sealer, it's easy to use and quick. Make sure you check all the walls, voids around windows, baseboards, pipes, and also moldings. not only your interior, you also have to inspect your exterior and check any gaps that could be used by the bed bugs as their nesting place. If you any bird nest, get rid of it as well, and if you see some rodents, you will also need to handle that problem. Rodents could act as hosts for the bed bugs, so even if you have eradicated the bed bugs but there are still rodents, in a matter of weeks your house could be re-infested by the bed bugs. 6. The final step is to scrub all infested areas based on your inspections earlier using water and a hard bristle brush. This process could dislodge any eggs that are attached strongly to surfaces, additionally it could also remove the residue left by the bug spray. Even though you're using a non-toxic spray, an extra precaution is always necessary. 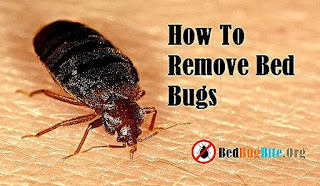 If the bed bugs infestation in your house is not too severe, all those steps above will eradicate them and help you to get rid of bed bugs bites for good. Treatment For Bed Bugs Bites : You've heard the old wives tale about bed bugs biting, but they are actually a real thing in and around the world. Bedbugs are a common problem in most of the developed world. In fact, the United States has seen a surge of bed bug cases. It's actually become quite a large problem; estimates are that professional exterminators have seen at least one bed bug cases a year – a whole 90%+ of them. What most people don't realize is how bed bugs feed on their pray. Below we'll take a look at a few ways to treat bed bug bites and control their growth with common home equipment. A lot of these methods are particularly cheap and easy to implement to get rid of Bug Bites, so your wallet won't feel the strain as much has it would have. Read on to find out how to identify bites and treat them, along with some simple heat control for exterminating bed bugs. What's A Bed Bug Bite Look Like? A bed bug bite looks very similar to a flea bite. In fact, you may mistake them just for that. 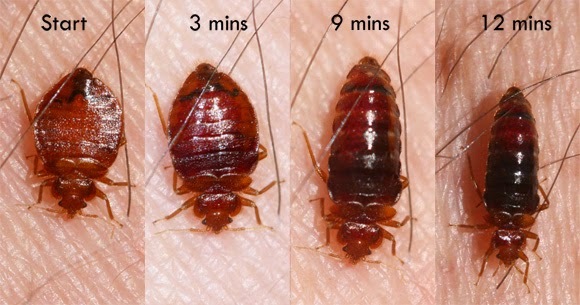 The difference is the pattern; bed bug bites usually present in a line where they'll move up, feed, move up some more and repeat. If you have these markings, odds are you're being feasted upon by a bed bug. Don't worry, though; the bites are very easily treated. Sometimes rashes do occur. This is probably a reaction from the agents in their saliva. Most people won't react this violently to the bite, but some will. Think of it as being allergic to a bee sting. Rashes are also easily treated with home remedies and over the counter medication. Most bed bugs bites won't require any sort of medical attention. Most of the time, the treatment is designed to relieve the symptoms of a bed bug bite, unless there is a severe reaction or it has become infected. There are a lot of over the counter anti-histamines that do a great job of relieving the itch and swelling of the common bed bug bite. Heat treatment is a fantastic way to control and cut down on bed bugs. They die easily in high enough temperatures, which is where your dryer will come in handy. Bedding and sheets (or any effected material) should be dried on high heat for at least 30 minutes. This will kill any eggs and take care of the living ones that you may have missed. It's important to eradicate any future offspring that may come along, so definitely set aside a time to wash and dry everything in your house. Make sure to keep other areas free of clutter, too. While much more common in the States and around the world than they had been before, it's not the end of the world if you do have them. They only take kindly to one thing in particular, that thing being your blood. 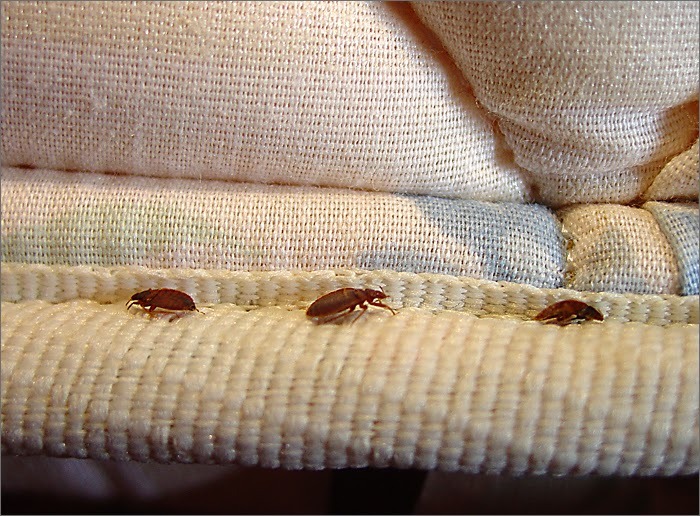 If you suspect bed bugs, check the common areas: around the seams of the mattress and pillow cases. If you notice the pattern of bites, consider doing a deep examination of your home as well. If you encounter any blood or spots lying around, odds are it's the blood leaking out from the belly of the bed bugs Pictures. With the high heat and bite treatment, you should be able to control the infestation. Make sure to contact a professional as well to completely rid them. Get Everything Related To Bed Bug Bites Like Bed Bug Bites Remedies, Pictures, Photos, Spray, Mattress Protector Covers And Other Queries Like How To Get Rid Of Bed Bugs.